Mylottoline (mylottoline.com) offers free trial to their players and guaranteed money back if you play for 30 days without any wins. 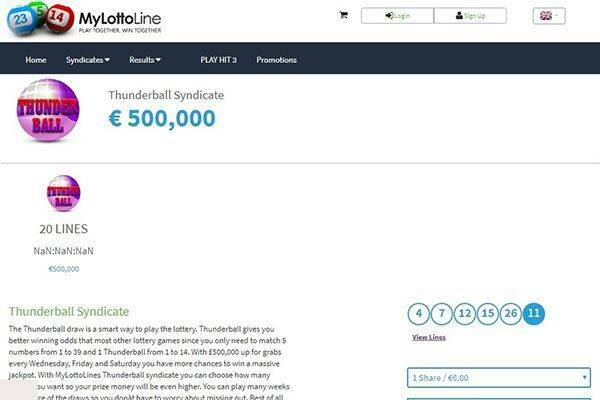 The free trail means that players are given the golden opportunity to play the Thunderball, Euro Millions, Raffle Millionaire and UK national lotto for free. They also restrict the number of people per syndicate to 100 which means that the winning amount each player in the syndicate gets is fairly large. Although in the FAQs they stated that they will deduct both state and federal taxes from winnings but all the games featured on the site are tax free. Players can’t just unsubscribe without a 28 days’ notice and from the moment you make your intentions clear, you are automatically not entitled to any more winnings even if your subscription is still active. They do not offer any type of electronic app but the website can be accessed from mobile devices. Players can also make request to enter into a syndicate from their mobile devices and they can also receive short messages containing from the company either confirming the players’ request of notifying the player of important information. 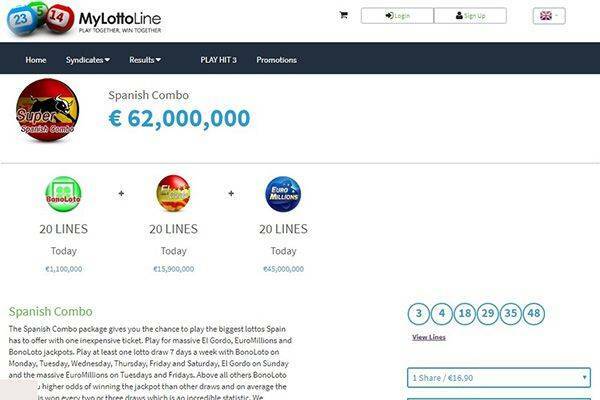 MyLottoLines offer their players chances to win big in their various games. 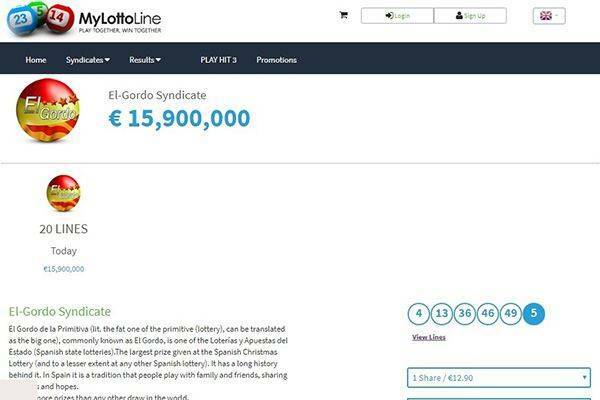 Mylottolines may sometimes offer additional games to the syndicate members or separately to member which can be played by a player alone. Free draws are sometimes advertised to the general public which they can participate in without making any formal purchase but will have to write to the company administration. MyLottoLines users can make deposits into their accounts through various payment options made available on the site. The major payments methods available are debit and credit cards (Visa card, Master card) and all deposit can be viewed by logging into your account. Player can make withdrawals under the supervision of the account supervisor and might take up to 14 business days to process and any withdrawals of more than $300 will require the user to prove their identity and the minimum amount allowed to be withdrawn is $100 which means the user will have to accumulate their earnings until it gets to that amount. For a quick and simple troubleshoot, there’s a FAQ and help page users can self serve when encounter an issue of have a question. For those who require further information or need to raise an issue not covered with the above page, there are channels for reaching MyLottoLine’s customer support. A live chat is available during working hours, but what those are is unclear. when live chat isn’t active, it’s module turns to a contact form. Two more options are direct phone and direct email address. Unfortunately, again, it’s unclear when those are maned and what is the expected response time. Is MylottoLine Lottery legit or fraud? There are so many negatives to consider like how they are not recognized or approved or endorsed by the National Lottery Commission, Camelot UK or Services aux Lotteries en Europe (SLE). The inability of players to opt out without forfeiting winnings and the fact that they remove both state and federal tax from game winnings that are supposed to be tax free makes one sceptical about joining or referring anyone, not to forget that it there are also claims about their inability to get the right traffic to the site making the syndicate group to be incomplete even though they said they reserve all rights to merge groups. 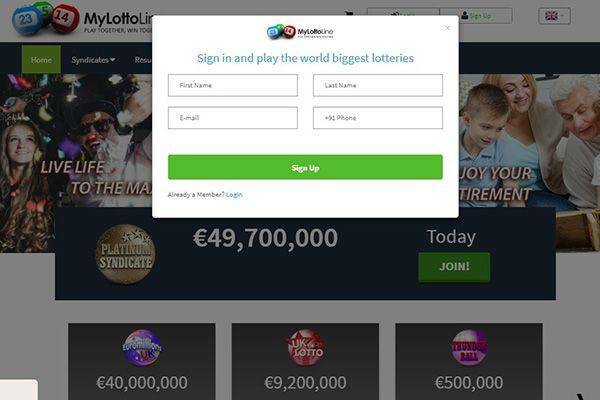 MylottoLines offer their users great chances at winning lotteries by providing them a syndicate platform that has up to 100 players which makes the chances of you winning very high at a low cost. They also give you the right to cancel when you don’t want their services anymore. 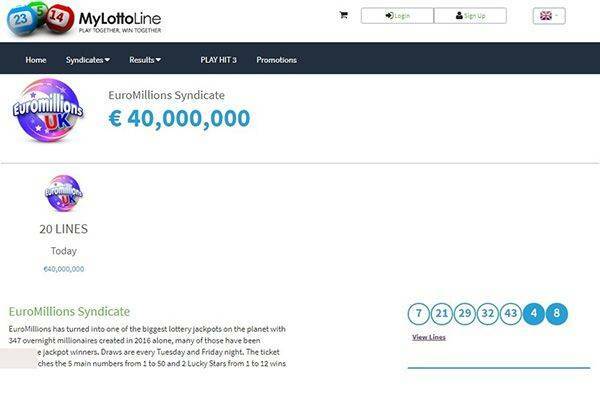 Playing in syndicate has always offer lottery players the opportunity to win big at a low cost. 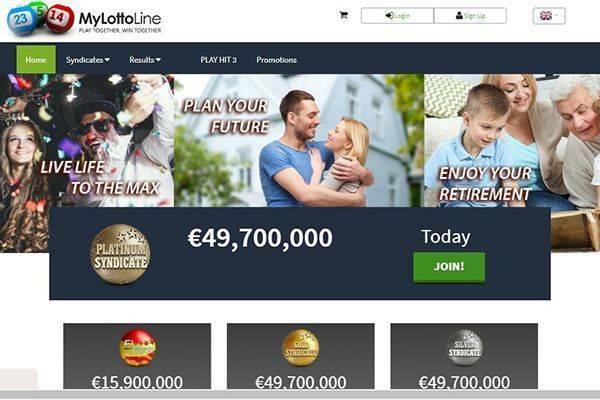 Well MylottoLines has provided exactly that type of platform where player are in a syndicate of 100 other player and the expenses as well as tיe winnings are shared among every player. This ensures that even when your numbers are not the winning numbers, you still stand a really high chance of winning big. That is the sheer power of been in a large group. They also offer free one week free trials where members are allowed to participate in a syndicate and stand a chance to win in any of the lottery games available on the site. They also guarantee you your money back if you spend 30 days on the site without any winnings, how great is that!